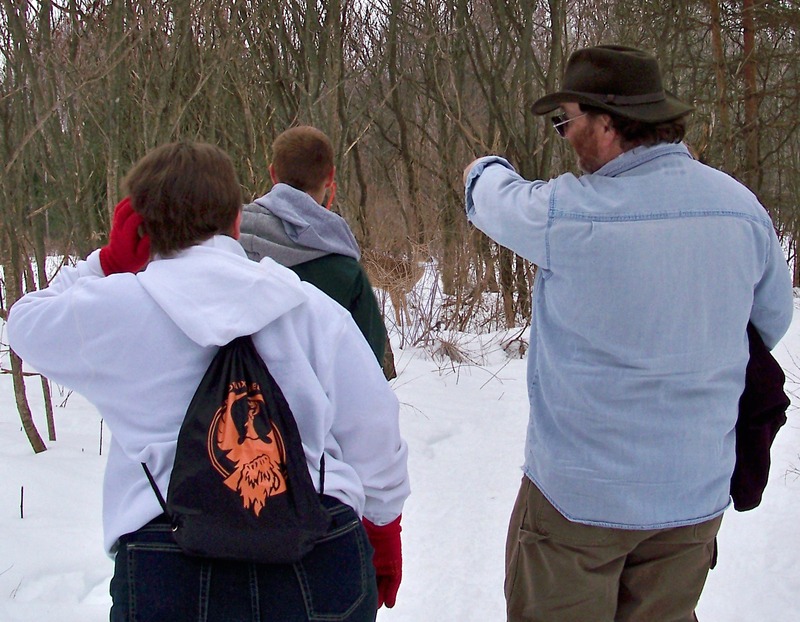 Brittany Cook and Paul Crane follow Marc Warner along the trail that overlooks the frozen lake. 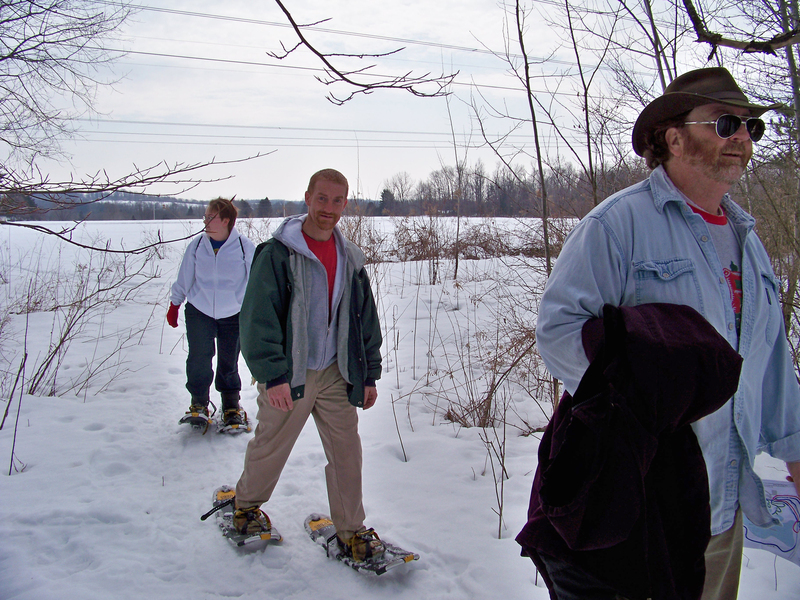 The Social-Recreation program at ARC of Oswego County took advantage of the beautiful weather on a recent Sunday to go snowshoeing at Beaver Lake Nature Center in Baldwinsville. Participants, some of whom had never tried snowshoeing before, successfully completed a 2.2 mile trail. Along the way, they learned a little about wildlife and the woods from coordinator Marc Warner; saw deer foraging close by; and heard woodpeckers in the distance. The group finished up with a cup of hot chocolate and a look at the wildlife displays inside the Nature Center. ARC of Oswego County is a private not-for-profit that has been providing programs and services to adults with disabilities since 1955. The Social-Recreation program offers community experiences while teaching skills such as money management and social interaction within a peer group. ARC of Oswego County is currently seeking community support to protect and continue its programs; to make a donation or become a chapter member, call (315) 598-3108. There was plenty of wildlife on display, including two deer foraging close by the trail, as Marc Warner (right) points out to Brittany Cook and Paul Crane. 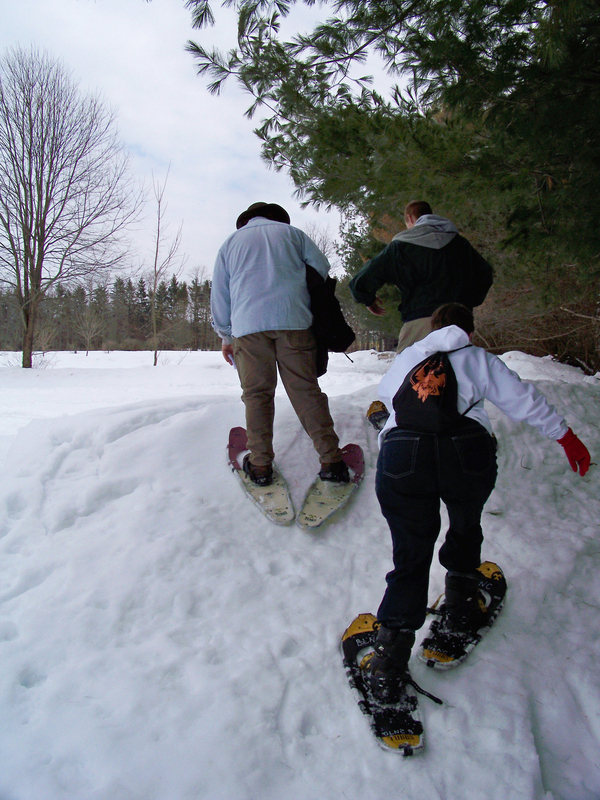 Marc Warner (left) teaches Paul Crane (top right) and Brittany Cook (bottom right) how to climb a hill in snowshoes.